These days, more and more tourists are taking cooking classes in India and learning about Indian cuisine. No matter what your level of interest, you'll find classes to meet your needs. Single day classes are a hit with beginners that have a general interest, while extended residential programs cater to those who want to go on a more in-depth culinary voyage. You'll find that many homestays in India offer casual Indian cooking classes to guests. The Bangala, in Chettinad in Tamil Nadu, is one of them. The recommendations below cover everything from north Indian to south Indian cuisine, in locations across India. If you're going to the effort of learning how to prepare Indian food, you should also know how to eat it the traditional way with your fingers, especially if it's south Indian cuisine. (It really does help the food taste better). If you're looking for a fully fledged culinary holiday, this renowned place should be high on your list. There's an interesting and comprehensive range of options to choose from: 10 day Chef's Special Kerala Vegetarian program, eight-day Kerala Cooking Adventure program, four day Kerala Cooking Residency program, three day Kerala Curry Magic program, two day (or more) tailor-made Monsoon Cooking program with Ayurvedic treatments, and Stay and Cook lessons as an add-on for those guests having a non-culinary holiday. Accommodations are provided in comfortable cottages on a family run spice garden. If staying in an architecturally designed waterfront villa on an island along the Kerala backwaters appeals to you, then you'll love family-run Philipkutty's Farm. Their cooking holiday has daily lessons in the preparation of Kerala cuisine with a predominant Christian and backwater influence, passed down from generation to generation. This means that there are plenty of meat and fish dishes, unlike other places where the focus is solely on vegetarian preparations. A stay of at least three to four days is recommended, and a week would be perfect. Aakriti homestay is an inspiring environmentally sensitive, boutique homestay nestled in the middle of the famous Nilgiri tea gardens. The hosts, professional chef, and nutritionist Renu and her baking-enthusiast husband Ravi, offer themed cooking holidays featuring vegetarian fare from all over India. This is a real plus, as most cooking courses only focus on one type of cuisine. You'll be taken to the local farmers market to select organic vegetables and spices, and then be involved in a half day cooking demonstration. A minimum of five days is recommended, particularly if you want to learn cuisines from multiple regions. Accommodations consist of gorgeous luxury private cottages surrounded by nature. To get there, take a ride on the scenic Nilgiri Mountain Railway toy train. Three food professionals, with a combined 80 years experience between them, came together to start Saffron Palate. The company offers cooking experiences in an Indian home, featuring cuisines from all over India. The​ Eat, Pray, Cherish experience is particularly popular and combines cooking with a temple visit. Other classes focus on cooking street food, a full course meal, or simply a couple of staple Indian delicacies. Market walks and fully customized classes are also possible. Amit, of Cooking Masala, is highly praised for his depth of knowledge and teaching style. For him, cooking can be succinctly summed up as "Life, Passion, and Love". He offers lessons on how to cook numerous types of cuisine (north, south, Rajasthani, street food, and Jain) using traditional recipes. His classes focus on the principals of Indian cooking, which he explains very well. Both group and private classes are conducted. The family also sells organic masalas that they grow on their farm. The family has a 60-year-old masala chai recipe that's possibly the best you've ever tasted! If you're visiting Munnar, one of the top tourist destinations in Kerala, don't miss taking Nimi Sunilkumar's amazing value for money cooking classes. She's the author of "Lip Smacking Dishes of Kerala" and owner of food blog "Nimi's Culinary Ventures". The cooking classes are conducted in Nimi's home and last for around five hours. Passionate cook Rita conducts popular cookery classes for travelers in her leafy garden gazebo. These range from two-hour sessions to comprehensive five-day workshops on Goan cuisine. She also offers a three day culinary and heritage tour, certified culinary courses, and cooking classes for children. Rita has been featured on a number of Indian TV shows, including an episode of Twist of Taste anchored by Masterchef Vikas Khanna, where she showcased her delicious Goan “Crab Xec Xec”. Location: 256, Behind Material Organization (adjacent to Joggers’ Park), Jairamnagar, Dabolim, Goa. It's close to Goa airport. Sought-after professional cookery instructor (for more than 20 years) and food consultant Nimmy Paul gives a variety of traditional Kerala Syrian Christian cooking classes in her home. There's no fixed schedule as classes are conducted according to what students want to learn. The only prerequisite is being serious about cooking because she is! Class duration can range from three hours to a full day. You can also stay at Nimmy's home and experience the Keralan lifestyle and culture. One of the top cultural things to do in Pondicherry, Sita Cultural Center offers both Indian and French cooking classes (given Pondicherry's French heritage). 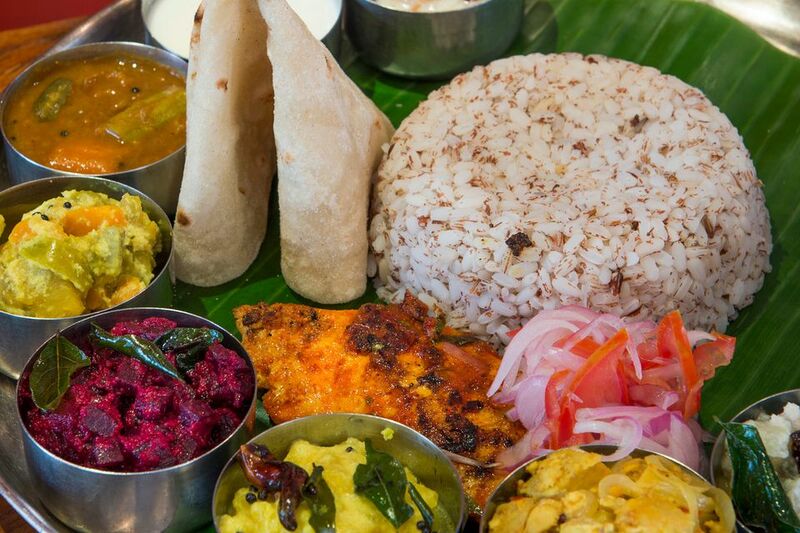 The south Indian options include a traditional Tamil vegetarian menu, non-vegetarian Tamil menu (featuring seafood), nonvegetarian Tamil festival menu (featuring chicken biryani), and a Kerala menu (flavored with coconut). The French cooking classes are held on demand for more than two students, while the Indian cooking classes take place on Wednesdays and Fridays as well as on demand. Classes start with a market tour. Children won't feel excluded, as Sita also holds special two-hour cooking workshops for kids! Chef Lokesh Mathur, a professional hotel chef with decades of hotel and teaching experience, demonstrates how to cook North Indian, Punjabi, Rajasthani and Kashmiri food. The cooking lessons take place in his home and the meal can be enjoyed with his delightful family. Both crash courses and longer courses and are offered. It's possible to choose the dishes that you wish to learn in advance, and you'll get recipes and notes to take away. You can even stay and cook with Chef Lokesh, as bed and breakfast accommodations are provided. One of the top 10 Jodhpur attractions, Spice Paradise is a spice shop that's run by a kindhearted husband and wife team (their special masala chai blend has been refined and perfected over the years, and is highly recommended). They also conduct Indian cooking classes, which are sought-after by foreigners, in their humble kitchen. Biryani and chapattis are two items that are commonly made. Do book in advance as classes are often full. Location: Girdi Kote, Amar Chowk, Jodhpur. It's just behind the Clock Tower. Udaipur is another popular city in Rajasthan for Indian cooking classes, and Shashi has a great reputation as a very friendly and lively teacher. She and her son conduct two basic four to five-hour classes a day. In them, you'll learn how to prepare Indian staples such as masala chai, pakoras, parathas, chutneys, vegetable curry, vegetable pulao, and paneer. Having cooked since the age of 13, Shashi makes mouth-watering food. And, the cooking classes have enabled her to earn a much-needed income after the untimely death of her husband. She's a remarkable woman! Location: Below Sunrise Restaurant, 18 Gangaur Ghat Road (behind Jagish Temple), Udaipur.